This is the concluding part of a series that started two days ago. In recent years, Malta has been basking in an economic growth that rivals many bigger European countries. However accusations of widespread corruption, a murdered journalist and criticism by EU institutions has cast a shadow on Malta’s glow. The European Parliament raised serious concerns about democracy and the rule of law in Malta in 2017 in a sharply critical resolution backed by two-thirds of MEPs. The European Parliament urged EU authorities to open a dialogue with Malta on the rule of law, a formal process the European Commission also embarked on in the case of Poland. They stated: “Developments in Malta in recent years have led to serious concerns about the rule of law, democracy and fundamental rights, including freedom of the media and the independence of the police and the judiciary”. The EU parliament has since sent special delegation to Malta to investigate corruption, money laundering and the the rule of law. According to some MEPs like Monica Macovei, Malta is only inches away from being stripped of its EU voting rights and towards having Article 7 triggered against it. The European Parliament voted to trigger Article 7 sanctions procedure for the first time in history against Hungary in September 2018 for similar rule of law issues as we have seen in Malta. Instead of taking Europe’s warnings seriously, Malta’s government has denied all criticism. After the EU Parliament’s Rule of Law Delegation’s visit to Malta, the Maltese government issued a statement saying that “The MEPs do not understand how things work in Malta”. Malta’s government uses performance-based reasoning as ’evidence’ of democratic legitimacy. 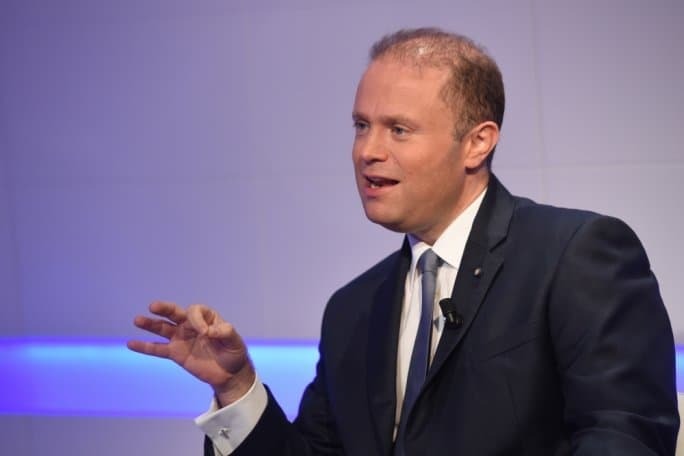 The favourite rhetorical line used by the Prime Minister Muscat is boasting how well Malta is doing economically. According to him, it is ”the envy” of other countries that has lead to Malta being criticized. However, economic growth offers not much proof of democracy. According to Adam Przeworski, both democratic and authoritarian regimes can have strong economic development. China is economically the second most powerful state in the world, yet it is authoritarian. So is Saudi Arabia. It is the lack of civil rights including freedom of speech and the press, lack of separation of powers and epidemic corruption, that are the vices threatening democracy. How can a state protect itself from transitioning from democracy to authoritarianism? Democracy requires competition but also consolidation. The first requirement for the protection from authoritarianism is mutual tolerance. In other words, accepting political party rivals as legitimate. Maltese government officials and Labour party activists are known to cast the opposition and critics as traitors and enemies. When the Nationalist Party MEPs David Casa, Roberta Metsola and Francis Zammit Dimech have spoken in the European Parliament about their concerns about corruption and lack of rule of law in Malta, Labour supporters have described them as ”Malta’s shame” even calling for them to be stoned and to be burnt alive. The Labor owned One News, ran a headline ”Metsola ddur Brussell titkellem kontra Malta” (Metsola goes around Brussels speaking against Malta). In October 2018, One News accused the Nationalist Party, civil protesters and some journalists of a ”coordinated campaign against Malta”..
Constitutions must be defended—by political parties, opposition, by the civil movement and the free press, but also by democratic norms. Institutions alone are not enough to rein in aspiring autocrats. In October 2018, Prime Minister Joseph Muscat attacked the former Opposition Leader Simon Busuttil, during a parliament sitting. Busuttil, who has been the leading force fighting corruption in Malta, was told by the Prime Minister that ”he (Busuttil) should not ever be allowed in Malta”. This is far cry from the promises Muscat made in 2015 when he stated that ”we will not allow anyone to tarnish this government with corruption”. Muscat’s priorities seem to have shifted from protecting the Government from corruption to protecting the Government from accusations of corruption. Fighting corruption is an essential ingredient for democracy and for good governance, with transparency, accountability, civil rights and rule of law. The warnings are now out on Malta. It is left for the jewel of the Mediterranean to clean up its act or say goodbye to its democracy.